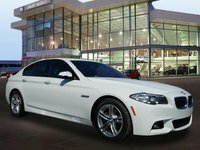 CarGurus has 4,752 nationwide 7 Series listings starting at $2,999. The 2016 BMW 7 Series begins a new generation for the flagship luxury sedan from Munich. Critics of the current model (and there were more than a few) will likely mutter, “It’s about time.” Those people are clearly hard to impress, but this sixth iteration of the 7 series will likely do the trick. It’s still an opulent cruiser that can double as a sporty sedan, but it’s lost some weight, added technology inside and out, and become somehow more dashing than its predecessors. The 7 Series has always been a place where BMW unveils technological advances, and in this respect the 2016 model is no different. What is different, however, is that the German automaker is touting advances to the body structure as the most important advances of the sixth generation. The new 7 Series is built on a Carbon Core platform that utilizes the lightweight carbon fiber-reinforced plastic already used extensively in BMW’s i3 and i8 vehicles. Much of the inner crash structure in the 2016 7 Series--especially the roof bows and transmission tunnel--is constructed with the carbon fiber material, lowering the center of gravity and improving handling. 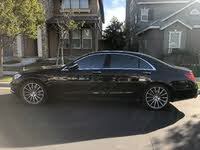 The doors, hood, trunklid, and front and rear shock towers are now made of aluminum, which also reduces car's overall weight; this 7 series is 290 pounds lighter than the outgoing model. The outer structure also undergoes some changes, though the overall silhouette remains essentially the same. The trademark twin kidney grilles are now larger and manage airflow more efficiently--BMW refers to them as the Active Kidney Grille, and the company also used them on its recently updated utility vehicles. There are new Air Breathers behind the front wheels, marked by a subtle piece of brightwork and designed to help reduce turbulence in the wheel wells. A new beltline begins at the hood and elegantly creases the vehicle all the way to the rear L-shaped LED tail lamps. Another piece of brightwork connects those tail lamps and, along with two exhaust pipes integrated into the rear bumper, make the 7 Series as handsome in the rear as it is from the front or side. The 7 Series will only be available with the long wheel base in North America in 2016 (206.6 inches, an inch longer than the last model), which is one more significant change for the new generation. Under the new aluminum hood sits an updated turbocharged 3.0-liter straight-six that was introduced in the 2016 340i. This new powerplant produces 320 horsepower and 330 lb-ft of torque, propelling the 740i from 0-60 in 5.4 seconds. 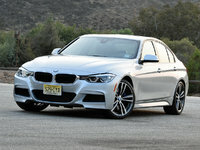 The 750i xDrive, the only other trim choice in North America for the time being, is powered by a 4.4-liter V8 (445 horsepower, 480 lb-ft torque, 0-60 in 4.3 seconds). Both engines come with an eight-speed automatic transmission with shift paddles and a launch control function. The 740i is a rear-wheel drive, and the 750i comes standard with all-wheel drive. Mileage numbers have not been released for either trim, but they should be better than the previous generation thanks to the reduction in overall weight. The 2016 7 Series is loaded with automated and adjustable systems to help harness the power coming from those engines. There’s a new Active Comfort Drive with Road Preview feature that automatically adjusts the active-chassis system and air suspension. The transmission is linked to the navigation system and can make anticipatory shifts. And the driver can adjust the suspension settings, going from Comfort Plus (which floats over the road) to Sport (which feels more like a traditional BMW ride, responsive yet still soft). The interior is pristine and made from nothing but the finest materials. Every button is now covered with a thin coat of real metal, shaving off a bit more weight (since they are no longer made wholly of metal) while retaining that premium feel. They’re also smart--leave your finger over any of the buttons and the in-dash display will tell you what it does. The instrument panel has become more horizontal and added some chrome, but the cabin maintains its dignified grace. The shiny buttons and accents aren’t trying to cover up for a lack of technology, of course. This 7 Series has plenty of that, and much of it is brand new. There’s a refreshed infotainment system - iDrive 5.0 - that can be controlled using a touch screen (a first for BMW), voice commands, a controller knob, or new gesture technology. You can spin your finger to increase or decrease volume, point to accept a phone call, swipe to ignore one, and program the system to do whatever you want when you point with two fingers. You can also pair your phone to the iDrive via Bluetooth by simply tapping it against the dashboard. The heads-up display covers a larger area than before, a revamped Night Vision system adds Pedestrian Detection, and the new Adaptive Headlamps adjust to the speed, steering angle, and yaw. The rear seats get an extra helping of technology with the Luxury Seating Package, which adds heated and ventilated seats, heated armrests, an eight-program massage function, and a removable 7-inch Samsung tablet that gives rear passengers full control over the iDrive system. If you need more luxury in the rear seat (the 7 Series does make for an excellent chauffeur-driven vehicle), the Rear Executive Lounge package lets the right-rear passenger push the front passenger seat tight to the dash, unfold a power footrest, and recline their seat up to 43 degrees. This package also includes a low-impact exercise routine where the seat pushes you forward and you push back. Safety features for the new 7 Series include BMW’s Active Protection System (detects imminent accidents and prepares accordingly by automatically pretensioning safety belts, closing the windows and moonroof, and activating post-crash braking), Attention Assistant (recognizes when the vehicle is straying from the lane and signals the driver), Dynamic Stability and Traction Control, Brake Fade Compensation, front and rear-seat Head Protection System, BMW Assist eCall and Remote Services (stolen vehicle recovery, remote door unlock), and the full array of air bags in front and back. 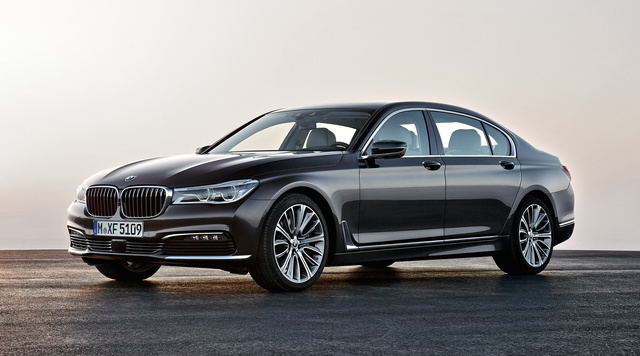 What's your take on the 2016 BMW 7 Series? Have you driven a 2016 BMW 7 Series? Where is the fuse location for the windshield washer?